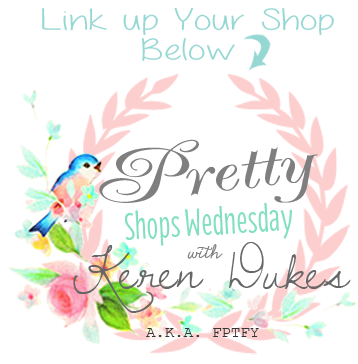 Welcome to the 37th Pretty Wednesday Link Party! For those of you that are new to my Blog, Linky Parties aren’t something new around these parts.. WYWW had a strong 124 weeks, and as most of you know, it was one of the very few linky parties out there that allowed SHOPS to link up. I never wanted that option to go away, for I know, many of you truly appreciate it! I mean.. who doesn’t like Free advertising, right? So why the change? The main reason is, WYWW was just really all over the place/disorganized and that definitely needed to change. No Thank you!! Sorry it takes me so long to response! I really do appropriate your visit!!! Thank you for partying with me tina!!! :D Welcome!